McLarty Volkswagen has proudly been serving central Arkansas drivers since 2015. We have a knowledgeable staff with many years of experience to help you through every step of your automotive journey, and at McLarty Volkswagen, we are passionate about providing you with the best possible customer experience. No matter what your automotive need – whether you need to purchase, lease, finance, or service a Volkswagen, you’ve come to the right place. 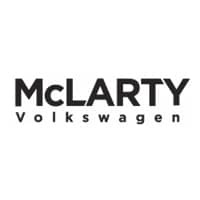 When you choose McLarty Volkswagen, you will get top-notch customer service from our strong and committed staff with many years of experience. Whether you are coming in for a new Volkswagen, inquiring about a pre-owned vehicle, dropping your car off for maintenance, ordering genuine Volkswagen parts, or seeking help with financing opportunities, we are ready to help with all of your automotive needs. We serve drivers in Little Rock, North Little Rock, Conway, Bryant, Sherwood, Benton, and surrounding areas. All of our vehicles are competitively priced with Legendary Low Prices. We are a proud member of the McLarty Auto Group, which maintains the same commitment to excellence. Our highly qualified service technicians always provide top-tier service in a timely manner.